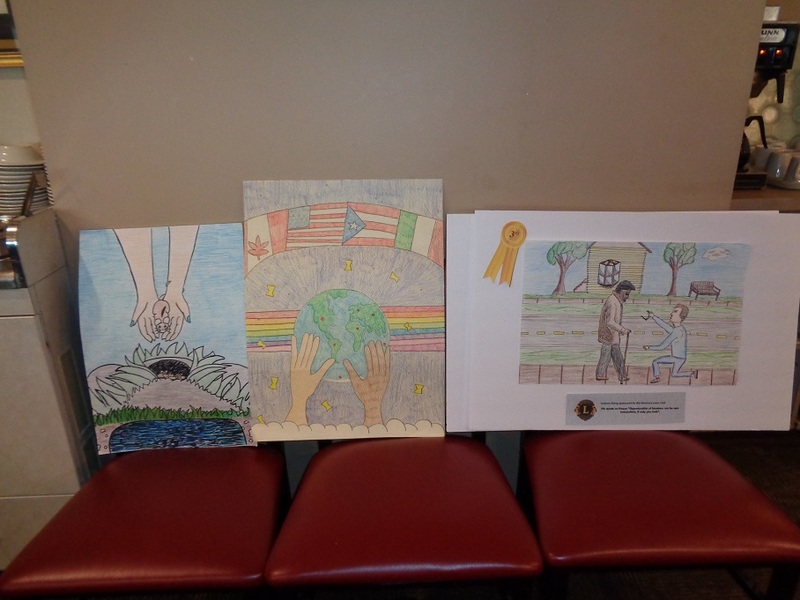 Our 1st place winner Jackson Stang went on to be the 3rd place winner in the District 20N Peace Poster Contest and our essay winner Sydney Gasiorek went on to win the District 20N winner and continued on to be a contestant in the New York State MD20 essay contest. 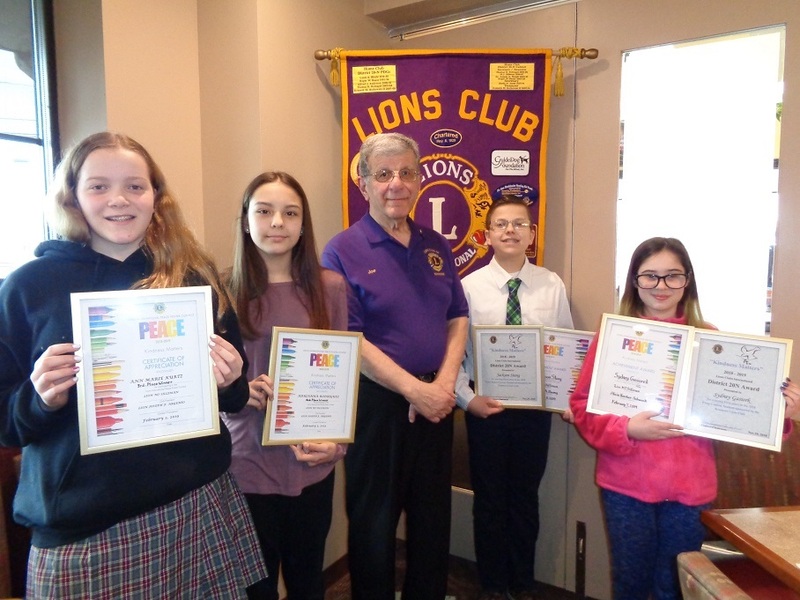 On Tuesday December 4, 2018, the Kenmore Lions Club hosted their annual Holiday Luncheon for their sight-impaired friends. An excellent buffet luncheon was enjoyed by all, capped off by a visit from Santa and his big bag of Candy Canes for everyone. The Club would like to than the owner and staff of the Olympic Restaurant for their continuing support of the Kenmore Lions Club in their events. Twelve Kenmore East Leo Club members and their advisors baked four pumpkin and four apple pies and donated them to the annual Ken-Ton Community Thanksgiving Dinner. Nine Leos, their faculty advisors, and four Kenmore Lions shopped for 16 needy local children, and held a wrapping party at Kenilworth United Church of Christ. “Care Bear” gifts will be distributed by teachers at Franklin Middle School. As in past years, Kenmore Lions provided $500 for the shopping expedition. Leos wrapping Care Bear gifts for needy school children. On November 3, 2018 the Colvin Cleaners held they annual "Coats for Kids" project. Kenmore Lions PDG Tom Reinagel, Joe Argenio, Sharon Mercer and Sheila Jones volunteered to assist in this great project headed by Cindi and Paul Billoni (owners of Colvin Cleaners). Over 6,800 coats/jackets and hundreds of hats, scarves, and mittens were given out to assist our residents and their families keeping warm this winter.